In 2005 a Maya farmer was chasing an iguana when he came upon a hole that caught his attention; upon looking into it the farmer saw that it was very deep, and so he set about making it bigger in the hope that he would discover a “cenote”, which in his culture represents both a sacred doorway to the underworld and also a valuable source of water. 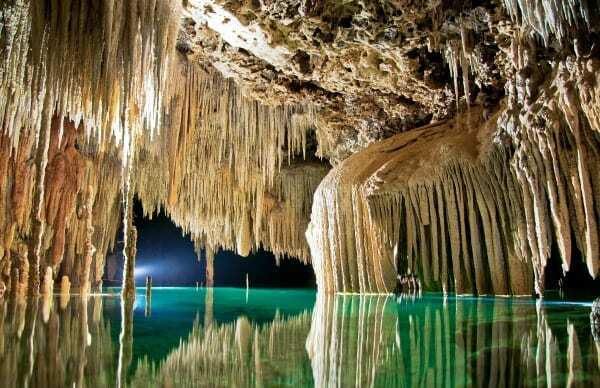 He soon discovered however that he had stumbled upon something much greater than he could have ever imagined: an underground river of extraordinary and incomparable natural beauty, a place that became Secreto, an underground system of rivers, caves, and intriguing geological formations. A magical journey through an underground river of extraordinary and incomparable natural beauty, where the history of the planet is written on the myriad geological formations, and where floating in its crystal clear fresh water your life will change forever. The tour includes: Specialized guide, helmet and wetsuit, life jacket, regional buffet and non-alcoholic drinks. 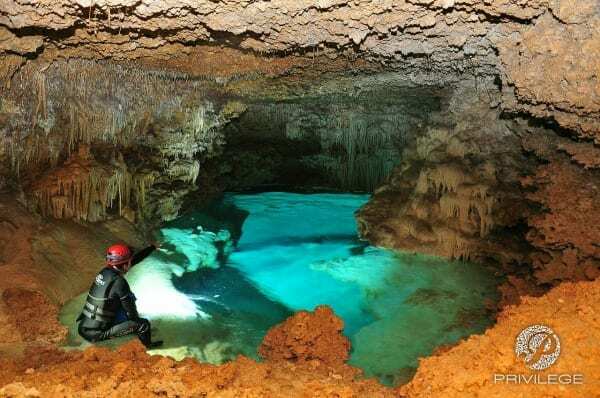 This tour includes the traditional Rio Secreto experience that offers a trip through Xibalbá (the Mayan underworld), a walk through its caves, a swim in the completely natural underground rivers, and the opportunity to admire the breathtaking formations that tell the geological history of the earth. Without a doubt, all of this is a life-changing experience, but now the new “Dry Route” Tour offers even more: a visit to the Salón de la Paz (“Room of Peace”), where the spectacular INNER JOURNEY (original video & soundtrack) is projected on the natural formations. This experience is sure to transport visitors back in time to the very creation and evolution of the universe. Privilege is the most complete and exclusive tour in the Mexican Caribbean. This route forms part of an extremely extensive area of the cave. Due to its extraordinary beauty and distinctiveness, it was decided to allow only very limited visitor access and to instead allocate it primarily for scientific study and preservation. Privilege is a custom-made journey. The guide and visitor decide together on the degree of difficulty of the tour, always with a view toward the preservation of this natural wonder. Even more than breathtaking natural beauty and superb aesthetics, Privilege is an experience for every one of the senses. It is a lifetime memory, a unique and unforgettable experience. Very few humans walk on the moon or climb Everest, and also very few explore Privilege. The tour includes: Specialized guide, personal photographer, helmet and wetsuit, life jacket, snack during the tour, regional buffet and non-alcoholic drinks. TBEX Attendees will have a special discount card in their registration bag that can be applied to any of the tours at Rio Secreto. If you’re already in Cancun, and want to visit Rio Secreto before TBEX, you can request the special pricing by email (customerservice@riosecreto.com) or by phone (from Cancún: 998.251.6567; from Riviera Maya: 994.877.2377). 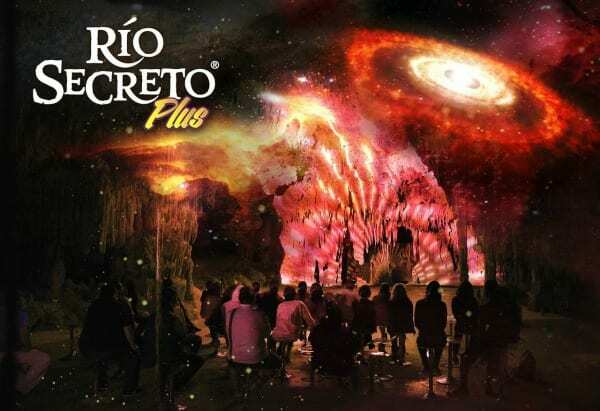 The full list of tours can be found on the Rio Secreto website. Most tours include transportation from Cancun and the Riviera Maya, but you can also find it via public transportation, taxi or car. The entrance to Río Secreto is conveniently right next to the Cancun-Tulum Highway.